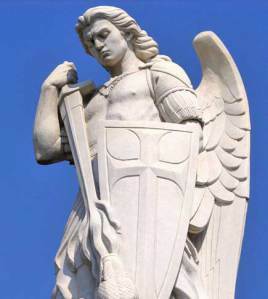 As some of you might have seen before, we have posted quite a few things about the Archangel Michael and channeled Music Stories and Information regarding Michael. In this article we take a good look at the true face of Archangel Michael and his typically portrayed looks and appearance, clothing and more. This is the Archangel Michael 777 Blog after all. And the time has come to reveal more and raise the Consciousness level on the whole Planet.